Welcome to Unimed International’s ever expanding range of Rapid Point-Of-Care Diagnostics (POCD). 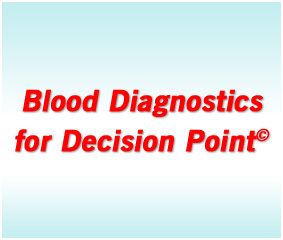 Our expertise is in Blood Diagnostics for diagnosing Infectious Diseases at Decision Point. Today, Rapid and accurate near-patient diagnosis is a critical link in medical science. Timely and definitive diagnosis can help earlier therapeutic intervention for better patient management. Simplicity, Speed, Sensitivity and Specificity are all essential elements of professional Rapid clinical diagnostic products. Our FirstSign™ Rapid Diagnostics deliver faster and reliable results that can help improve clinical decision-making and optimal patient outcomes out of the central laboratory into the physician office, emergency room, urgent care and other outpatient settings. Our innovative diagnostics focus on Infectious Diseases, Cardiology, Oncology, Sexually-Transmitted Diseases, Women’s Health and Drugs of Abuse. Unimed aims at bringing cutting-edge Point-Of-Care Diagnostics (POCD) for better health decisions and management to improve quality of life worldwide.